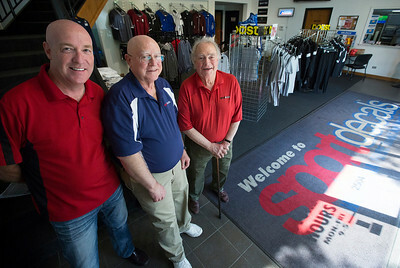 John Konstantaras - For Shaw Media Sport Decals co-owners Chris Gagnon, (from left) Paul Metivier and Don Metivier have at Sport Decals on Thursday, May 18, 2017 in Spring Grove. 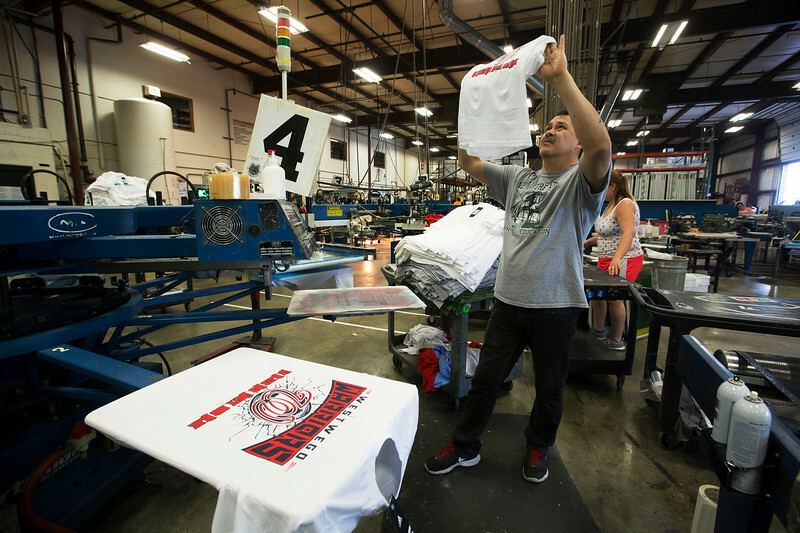 Don Metivier founded the company 50 years ago and they have recently re-acquired the company that serves more than 10,000 high schools, colleges, clubs and organizations through the sale of custom team uniforms, spirit wear and decals. 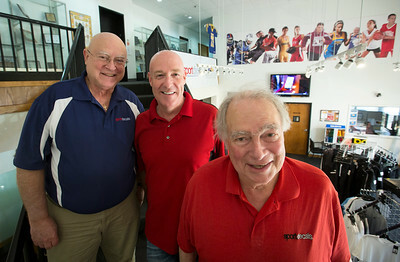 John Konstantaras - For Shaw Media Sport Decals co-owners Paul Metivier, (from left) Chris Gagnon and Don Metivier at Sport Decals on Thursday, May 18, 2017 in Spring Grove. Don Metivier founded the company 50 years ago and they have recently re-acquired the company that serves more than 10,000 high schools, colleges, clubs and organizations through the sale of custom team uniforms, spirit wear and decals. John Konstantaras - For Shaw Media Maria P. Rodriguez, of Harvard, sets a venal transfer on a jersey at Sport Decals on Thursday, May 18, 2017 in Spring Grove. Paul Metivier, Chris Gagnon and Don Metivier have recently re-acquired the company serves more than 10,000 high schools, colleges, clubs and organizations through the sale of custom team uniforms, spirit wear and decals.